4G content providers are the main contributors to the growth of smartphones, tablets and other mobile devices. Carriers that offer 4G broadband are only the conduits that carry the content. Carriers and operators are similar to utility companies delivering electricity, gas and water. Light bulbs only work when electricity causes their filaments to activate. Lawn sprinklers are literally “dead in the water” without water. And gas stoves won’t heat anything without natural gas. 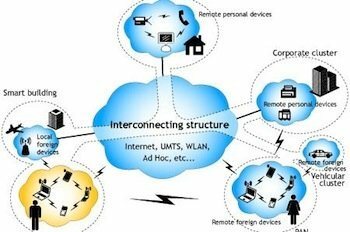 Similarly, carriers like utilities, connect wireless devices to communication networks. Publishers, who are 4G content providers, drive mobile adoption and engagement. On the other hand, your television, radio, mobile phone, mp3 player and Sony Play Station are different. They deliver audio and video programs. These multimedia devices aren’t “appliances” in the same way as a fridge, furnace or dishwasher. Yes, they require electric power to work. But their value is the multimedia content they offer. Imagine turning on your television without a cable, satellite and fiber optic connection or using a smartphone without a mobile Internet connection. No content. No information. They become appliances. This simple distinction between a washer and a smartphone is not trivial at all. As I write these words, thousands of multimedia providers–broadcasters, cable, media, Internet and other companies–are planning and producing content for the new age of 4G wireless multimedia devices: smartphones, e-readers, tablet computers and digital video players. Apple is an excellent example of integrating new technologies with multimedia content. Its iPad transforms “old media” through new media channels connected to the Internet. Steve Jobs, who has proven over-and-over his marketing savvy, is re-packaging and delivering multimedia content obtained from sources in the music and movie industries. But he’s competing with Netflix, Roku’s video streaming service and hundreds of Web content providers. Imagine a world of wireless, 4G wireless multimedia devices, operating with processors faster than the most powerful computers today connected to wireless home networks, downloading media from powerful servers. While carriers and other wireless broadband companies race to launch 4G multimedia multimedia services worldwide, those who produce or own multimedia content will profit the most. That’s why wireless carriers, cable and satellite companies are quickly acquiring content providers as each prepares for the new world of 4G wireless multimedia.